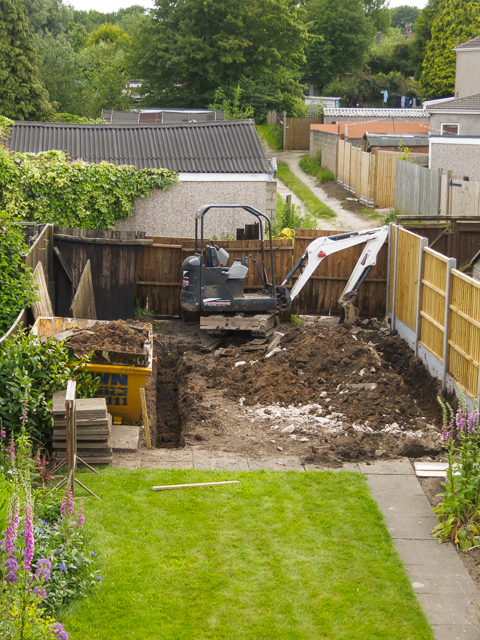 After a slowish start this morning, waiting for the skip and digger to be delivered the guys have made good progress. When I left for the office at lunch time, most of the concrete slab was still intact. The plan for the next few days is that the bricks are going to be delivered tomorrow (Tuesday) and the electrician will be fitting the armoured cable and ducting on Wednesday.